Etsy is heaven to creative entrepreneurs who have unique products to sell both online and offline. Headquartered in Brooklyn, New York, the marketplace has 1.7 million active sellers, 26.1 million buyers, and 40 million items for sale. Are you part of Etsy’s global community or is this something you’d like to try soon? According to statistics, 63 percent of sellers only sell on online marketplaces like Etsy. Now if you feel like surviving in this fierce competition is like shooting the moon, think again. 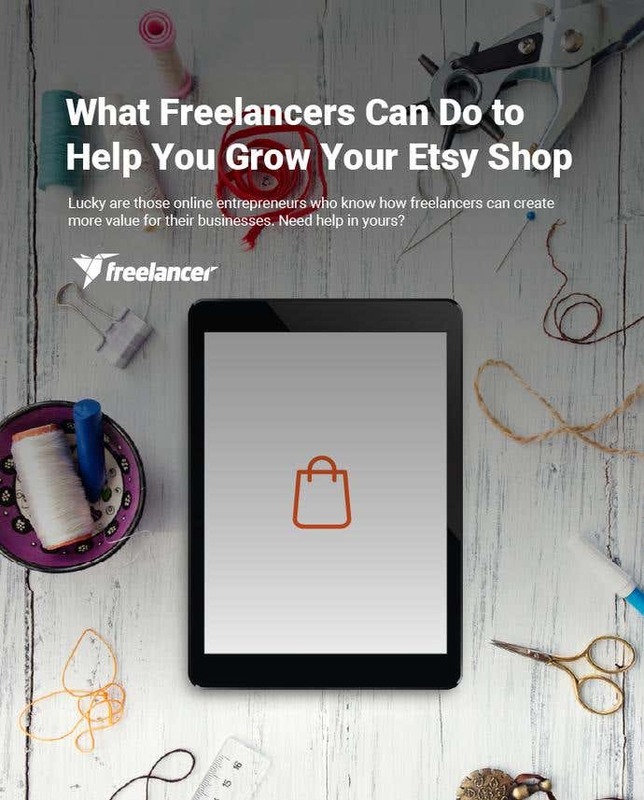 You can still thrive as an A-list online entrepreneur with your Etsy shop. What sets an Etsy seller and an Etsy super seller apart? Great marketing. You have to know what people in your market want and how to make them want your products. Make your products desirable. If this sound pretty overwhelming, lucky you, there are people you can always call for help. If you’re selling products online, your social media presence is something you should give enough attention to. Your target customers most likely own two to three social network accounts and if you miss being on their radar, they won’t get to know you better. Or they won’t get to know you at all. Make your social media pages attractive to catch their attention, and professional-looking to tell that you mean serious business. Your social media assets should be reflections of your brand. Get help from graphic designers for your header, profile picture, and engagement posts. You can also ask a freelance designer to create graphics for your promotions. Hire a graphic designer for your social media assets. In case you’re not aware that a photographer, with relatively cheaper rates, may be living near you, post a local job and wait until someone makes a bid. Photos play a major role in marketing your products. They have to be visually appealing and convincing, that anyone who would see your product photos would want to buy ASAP. Get help from a local freelance photographer. It may not be the first thing people will see when they visit your Etsy page, but a nice packaging will be good for your branding. Imagine the delight in your customers’ eyes when they receive their items in a beautiful package. Find a freelancer who can create your packaging design. A nice-looking packaging attracts attention. A well-written product description amplifies persuasion. The description of every item in your product page should convert your Etsy shop visitors into paying customers. If you can’t put into words everything that can turn a click into an actual sale, don’t worry, help is just a few clicks away. Hire a copywriter to write your product descriptions. This might lead to second-guessing. Do you really need to optimize your Etsy shop for search engines? Yes. SEO can be a handful for you who runs your shop as many hours as you can in a day. Getting help from someone who knows the right strategies even with their eyes closed will make a valuable difference to your shop’s online visibility. Running a business is never an easy thing. It requires dedication, hard work, and smart skills to keep everything intact in achieving your business goals. You don’t have to do it all alone. Post a project and collaborate with freelancers worldwide.